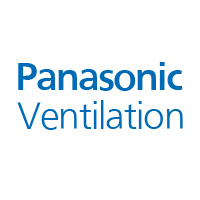 For 25+ years, Panasonic has developed innovative ventilation solutions that set today’s standard for better indoor air quality and healthy home design. Panasonic engineers and tests its fans to perform beyond the minimum 0.1” and 0.25” static pressure benchmarks. Panasonic fans are tested to provide powerful CFM output at the 0.375” static pressure level common on typical installations. Their ECM motor with SmartFlow technology help builders meet code by overcoming static pressure and ensuring optimum CFM output despite poorly designed duct runs. It moves unhealthy air and moisture out of the home quickly. Pick-A-Flow airflow selector lets you choose the CFM ranging from 50-150 CFM depending on the model.